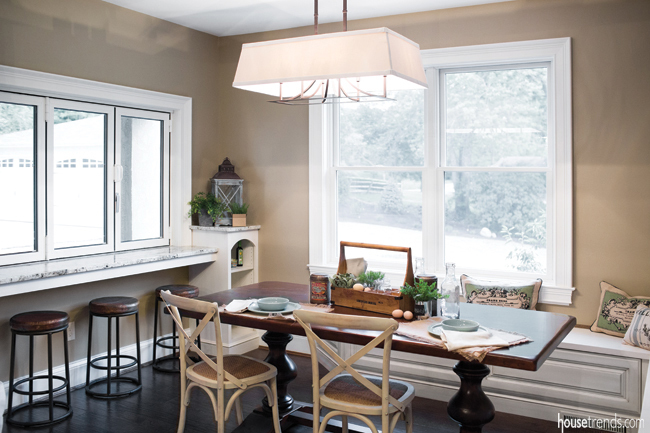 Windows abound in this quaint breakfast room allowing natural light to shine on morning breakfasters. If the walls of this Madeira home could talk, get ready for a lengthy story. Maybe they would reminisce about the good old days, before a 1915 addition. Perhaps they would recall how the original proprietor, John Todd, once owned 323 acres of the surrounding property, and rolling hills of farmland occupied what is now the Kenwood shopping area. 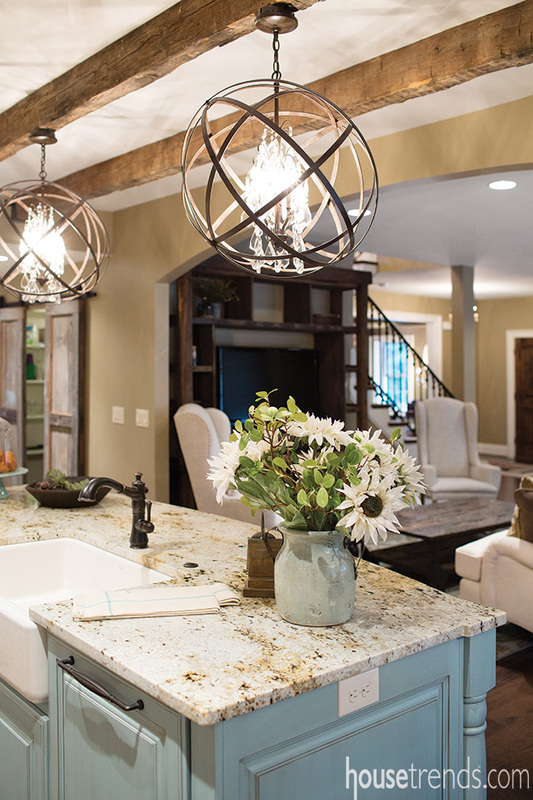 To recount the most recent chapter of its life, this home would need just one word: honor. 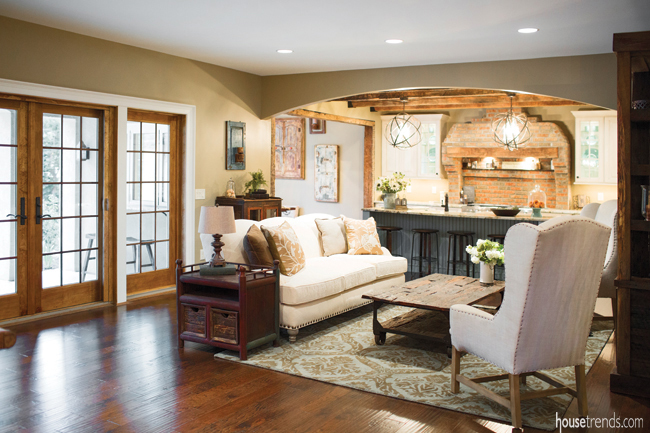 It’s frequently used by the homeowners, Dr. Dominic Angelo Rizzo and Dr. Elizabeth Brown-both podiatrists-and their renovation team to describe an eight-month effort that reframed the history of the 200-year-old homestead. Through fastidious reuse and smart selections, it’s impossible, at least for the untrained eye, to discern what is or isn’t a detail from the initial construction. 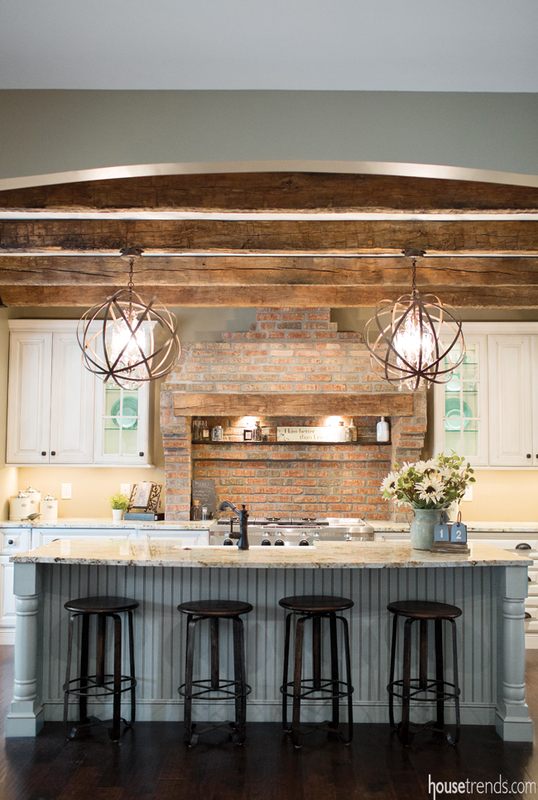 On the first floor, the original structural beams became a crucial component in marrying the new and old. 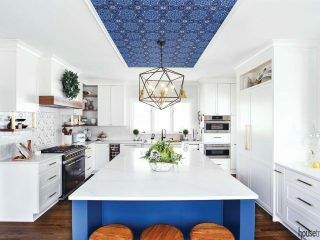 Sixteen-foot stretches, removed from a second-floor bedroom, were installed in the newly built kitchen, mimicking the historic exposed supports in the dining room and sitting room. 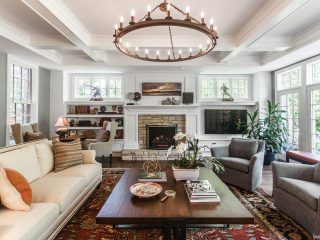 The classically designed light fixtures seen throughout the home, especially the chandeliers, help to bridge the history of the home with modern conveniences. 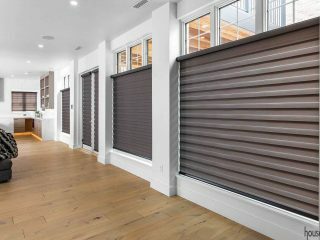 When it’s time to entertain, a state-of-the-art Panda window system and granite bartop in the breakfast nook seamlessly connect indoor and outdoor spaces. “Everything revolved around preserving history, yet it has all the fun, modern flairs,” Rizzo says. For Rizzo and Brown, who are engaged, the home could be the permanent backdrop for telling their own story. “This was the first home I bought, and hopefully it will be the last,” Rizzo says.